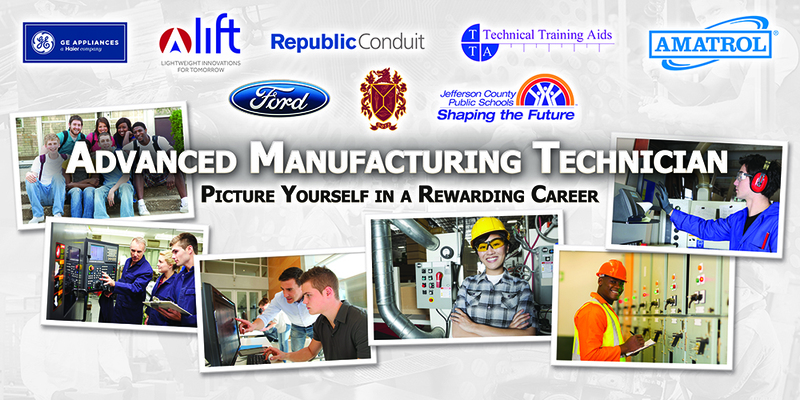 JEFFERSONVILLE, IN--(Marketwired - January 20, 2017) - KY FAME (Kentucky Federation for Advanced Manufacturing Education) is solving the manufacturing skills gap. This partnership of local manufacturers, and Amatrol, has created a sustainable pipeline of much needed skilled workers. Here is what they are doing -- and it works. Common sense, right? But all too often programs are set up in a vacuum and the "real needs" of manufacturers are overlooked or misunderstood. Today's high-tech manufacturing means technology changes rapidly, requiring communication between industry and education to be ongoing to ensure a program's success. This concept is so important that KY FAME included as part of their mission statement to "be a conduit between industry and education with a primary focus on meeting the needs of manufacturers." Therefore, KY FAME reached out to businesses in the community including Toyota, UPS, Hahn Automation, Atlas, Republic Conduit, and GE Appliances to understand the skill gaps in their businesses now as well as what they see coming. Matching the needs of the manufacturers to curriculum that teaches the desired skills is critical. KY FAME worked closely with educational institutions and businesses-like 3M, Bosch, GE Appliances, and Ford-to find the right curricula and hands-on, hardware training systems to fulfill the needs of the AMT program. They turned to MSSC's proven Certified Production Technician (CPT) program developed by Amatrol, Inc. Working with the Manufacturing Skill Standards Council (MSSC), KY FAME merged the CPT program with the on-the-job-training element. Gerald Sexton, KY FAME's Director, said that he was, "familiar with Amatrol, and had used their training products in a prior educational environment. Also, Amatrol training solutions matched the competencies for the KY FAME program and the industry partner's needs." The inflow of skilled manufacturing workers from the next generation is essential to keep the employment pipeline full. KY FAME has forged relationships with Jefferson County and Bullitt Country Public School systems to create a program that prepares young workers for future careers. Utilizing MSSC's Certified Production Technician (CPT) program, Doss High School and Bullitt County Area Technology Center students can achieve a certification that proves that they have the skill sets needed by industry. KY Fame's first cohort began in 2010 at the Bluegrass Community & Technical College. The program now has 23 companies participating including Toyota which used this model to establish programs in 8 other states where it has facilities. Additionally, the AMT program now has 8 chapters across Kentucky with more planned. The U.S. Department of Labor's National Career Pathway Network designated it as the "Best Career Program in the U.S." in 2013.